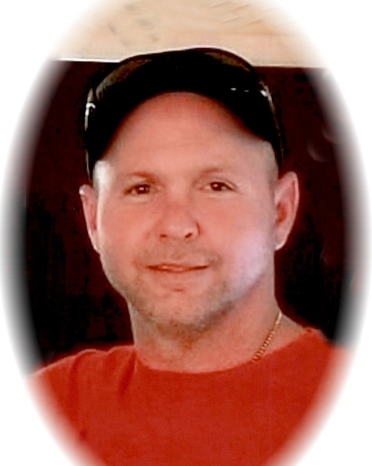 Dennis Wayne Carter, Jr., age 43 of Cleveland, Georgia, passed away Monday, April 8, 2019. Wayne was born on October 16, 1975 in Griffin, Georgia. He is preceded in death by his grandparents, Winfrod Taylor, Wiley Carter and Ann Hill. His hobbies included shooting pool, crossbows and collecting knives. Survivors include his wife, Julie Carter; son, Brandon; step-children, Storm, J’mika, Isaiah, Summer and Mac; mother, Rita Ware Belcher and husband Ken; father, Wayne Carter Sr. and wife Christy; brother, Jason Carter and wife Marcel; grandmother, Barbara Taylor; several aunts, uncles, cousins, nieces and nephews. A visitation for Dennis Wayne Carter, Jr. will be Sunday, April 14, 2019 from 1:30 pm until 3:00 pm at Conner-Westbury Funeral Home with a funeral service following in the Chapel. In lieu of flowers, the family requests donations to Midway Recovery Systems, 119 S. 10th St., Griffin, GA 30223.